She doesn’t need a stationary machine to feed the energy that is spent up daily as a busy and focused mom; all she needs is a path of natural terrain that only can be found in nature’s gym. 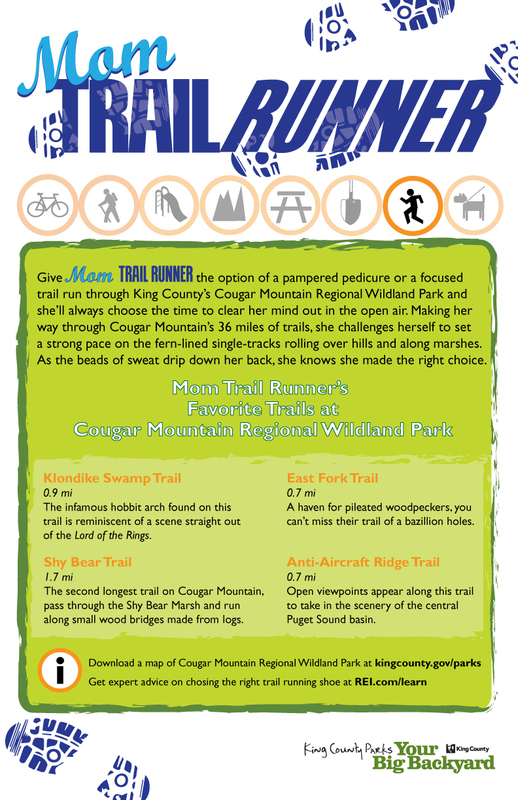 Lucky enough for Mom Trail Runner, she can find what her energy bank needs right here in King County Parks’ big backyard. 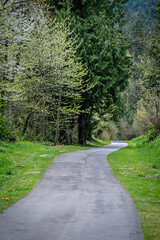 She looks forward to the fern-lined trails, sounds of birds calling and the open view that she uses as her turn-around point before heading home to scoop up her kids with all the energy that she just earned. We are thrilled to be partnering with the Seattle REI flagship store this month to bring to you a rotating series of in-store displays and profiles highlighting the many great recreation opportunities throughout King County Parks, including mountain biking trails and REI’s popular Outdoor School classes.